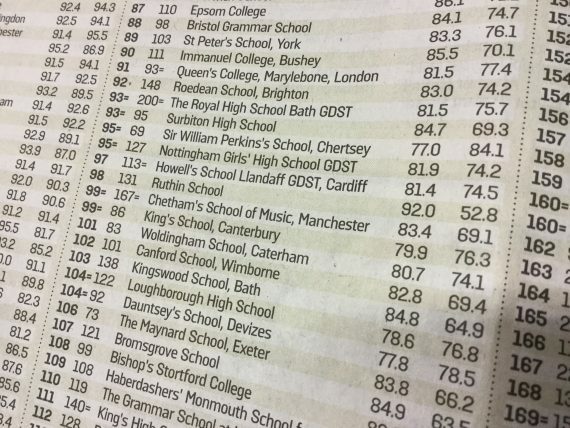 The recent Top 250 Independent School List, published by The Sunday Times, has seen Chetham’s climb a whopping 68 places from 167 in 2015 to 99. The rise is ranking is down to superb results this academic year, which saw 83.4% of A-level students achieve A*-B grades and 69.1% of those taking GCSE achieving A*-A. What makes this achievement even more special is the fact that Chetham’s students are offered places at the school purely based on musical ability, not ability to pay or academic aptitude. The success is testament to the hard work and dedication of both Chetham’s students and the superb academic teaching staff at the school. While most Chetham’s graduates go on to study music at some of the world’s leading conservatoires, a healthy proportion go on to pursue academic interests at top universities. For a full list of leavers’ destinations, click here.